CVN has covered some of the most successful attorneys in Florida during their highest stakes trials. Beyond the unrivaled gavel-to-gavel coverage you expect from CVN, we are launching Florida Legal Legends, a curated highlight reel featuring the state’s legal elite in the most electrifying moments captured by CVN courtroom cameras. Cole, Scott & Kissane’s Daniel Kissane, in Maldonado v. Wayne T. Fellows Inc.
Morgan & Morgan’s Keith Mitnik, in Prentice v. R.J. Reynolds. The Romano Law Group’s John Romano, in Johnson v. Drakulich. Jennings Hurt III, of Rissman, Barrett, Hurt, Donahue, McLain & Mangan, in Torrence v. Southwest Internal Medicine Specialists. Simply fill out the form below to see these four legal powerhouses in action. 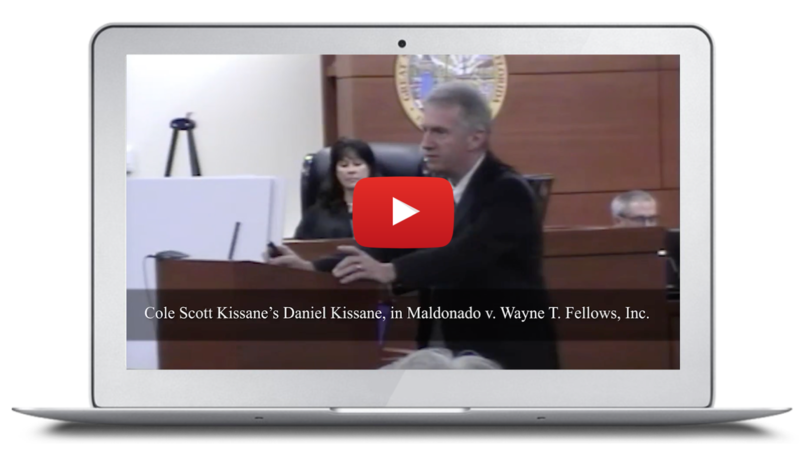 Then learn how you can see all of their trials and thousands of hours of courtroom video of high-stakes trials argued by the best attorneys in Florida, and around the country. Fill out the form to begin watching unparalleled legal video now!